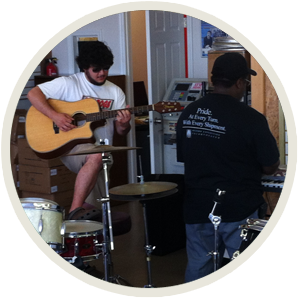 Atlanta Musicians ExchangeAtlanta Musicians Exchange | Full-service music store offering new and used instruments and accessories for sale, as well as music lessons and guitar, drum and amplifier repair. Recycle, Reuse & Rock On!! Expert guitar repair featuring Bryan Lilje who has been repairing guitars since 1983. Expert drum repair, refinishing, tuning and mainenance. 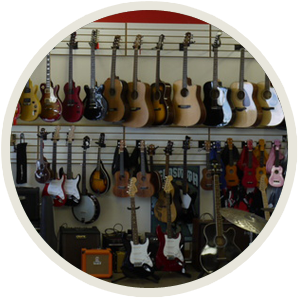 Buy, Sell and trade all musical gear and instruments, consignment sales are welcomed; PA sales and rentals. We stock Evans drum heads and d'Addario strings. Come pay us a visit and AME service all your local musical needs. Expert music lessons in guitars, drums, keyboards, bass, vocals, and more!